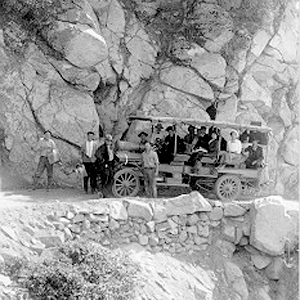 The Mount Wilson Toll Road (1891-1936) is a historic roadway which ascended Mount Wilson via a vehicular passable road from the base of the foothills in Altadena. 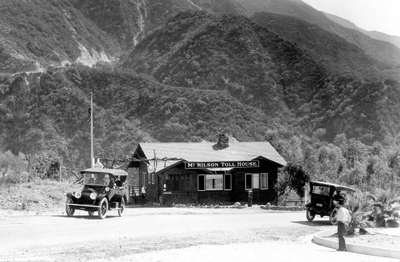 It was accessible from Pasadena via Santa Anita Avenue which drove right to the front porch of the toll house. 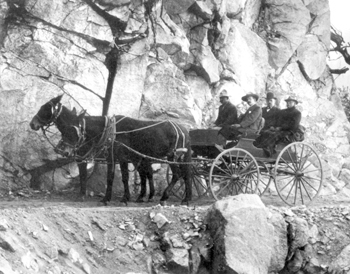 The road is still accessible to non-motorized traffic (hikers, bicyclists, and horses) by way of Eaton Canyon (either from the Nature Center entrance, or an access gate on Pinecrest Drive, just off Altadena Drive in Altadena). Segments of it have been closed at various times due to landslides. A 2005 landslide destroyed 50 yards of the road, but it has since been rebuilt and reopened. Mount Wilson had always been active with human passage starting from the days of the local Indians. It was Benjamin Davis Wilson who established a proper trail to the summit of Mt. Wilson from Sierra Madre through the Little Santa Anita Canyon. Here's the our members favorite photos of "Scenic Drives in Los Angeles". Upload your photo of Mount Wilson Toll Road!